While fourth-quarter Marin County home sales increased compared with the same period in 2016, the Wine Country wildfires boosted stronger-than-usual November sales. Fourth-quarter activity increased by 4 percent year over year, with a notable gain in sales of homes priced between $2 million and $5 million. Sales of homes priced above $5 million slowed some toward the end of the quarter. Marin County inventory consistently declined throughout 2017 and ended the fourth quarter 6 percent lower on an annual basis, with the most severe drop in affordable homes. 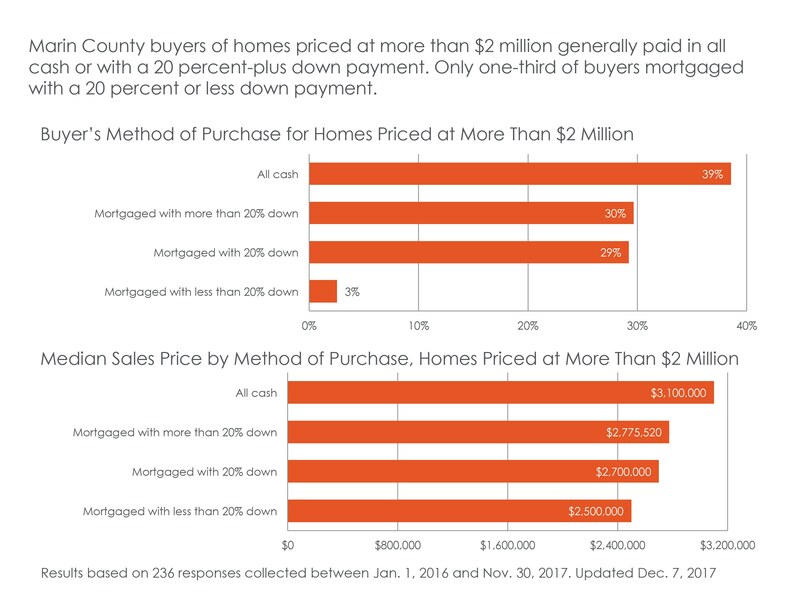 Heightened demand — along with tighter supply conditions — pushed median homes prices up by double-digit percentage points on an annual basis, especially in the last two months of the year. Buyer competition led to more bidding wars than during the same period last year, and more homes sold over the asking price. While market activity for more expensive homes improved from 2016, affordable homes remained in high demand, especially given the influx of families who were impacted by October’s wildfires. Looking Forward: Post-fire demand from buyers will continue to drive housing market activity in Marin County in the first quarter of 2018, though falling inventory will restrict any significant pickup in market activity. Affordable homes will likely see more activity than higher-priced homes. Click here to get market conditions by city.